Burning Man event concludes with the burning of a temple as attendees reflect, chant and pray. The 2016 Burning Man Festival concluded on Sunday evening with the burning of the 80-ft Temple, which followed the Burning of the Man on Saturday. A wave of silent, solemn and serious awe swept over the crowd as they watched the temple burning to the ground, sending leaping tongues of flame to the skies which represented the rising of so many hopes, prayers and wishes into the Unknown. This year's Burning Man event was organized under the directions of a “Leonardo Da Vinci's Workshop theme.” Approximately 70,000 people attended the event. In keeping with the theme, the effigy burned was a large-scale interpretation of Da Vinci's Vitruvian Man, complete with gears and a wheel base that would allow the visitors to rotate the effigy. The Burning Man event is a celebration of radicalism and free-thinking. As such, the event sees a massive gathering of free-thinkers, artists, and musicians. Basically anybody who dares to think outside the societal norms and rules. It began in 1986, with an eight-foot effigy burnt in the presence of about 20 people, organized as an echo of the summer solstice bonfire ritual that has existed much before. 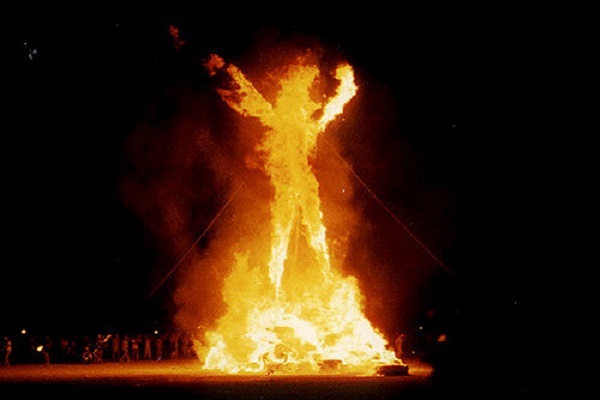 Ever since Larry Harvey and Jerry James began the tradition of burning the effigy that year, the event has been held regularly every year as a celebration of art, guided by ten principles that speak of “radical inclusion.” The event is now organized by the non-profit organization, The Burning Man Project. Critics say that this custom is just another form of religion. 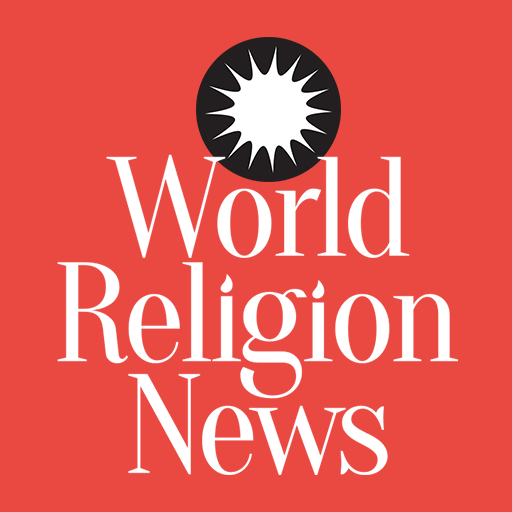 Atheists insist that though this event celebrates a radical departure from traditional religious thought, the custom is taking on a religious appearance with a temple, a deity-figure (the burning man), shared beliefs and other such things that they describe as being “religious.” This is also fueled by the participants placing letters, notes and the ashes of their loved ones inside the temple. The wait for the appearance of the crescent moon to burn the temple also reflects religious expressions. Participants describe the temple as a place of “sanctuary, safety and hope” as it stands as to honor the departed, what has been lost and to give comfort to the “grieving.” As such, the burning of the temple gives the participants that, as the flames consume their letters, notes and unsaid thoughts and feelings. As the temple finally crumbles and falls to the ground, participants celebrate with cheers, laughter, tears and by saying positive, love-filled words to each other.